Van Dijck Groenteproducties is a total supplier of a broad range of field grown vegetables, all freshly harvested. We provide huge volumes of high quality, freshly harvested vegetables all year round: freshly picked today for delivery tomorrow. 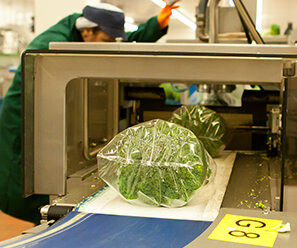 Our vegetables are grown, harvested, processed and packed according to the most stringent quality standards. From our site in America, part of the municipality of Horst aan de Maas in Limburg, our produce is distributed to retail chains and wholesalers in the Netherlands and the rest of Europe by our own logistics and transport department. We control every link in the supply chain, from growing to delivery. We leave nothing to chance; we call this 100% Van Dijck. Flexibility is one of our top priorities. Just like growing together; an ambition we stand for. A promise we deliver with a committed and close-knit team of employees and, of course, with respect for our surroundings and the planet. 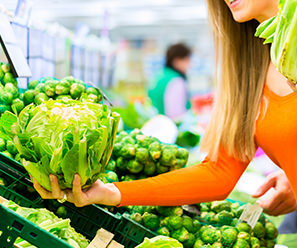 Are you passionate about vegetables and are you a hard-worker with a flexible attitude? Then working at Van Dijck Groenteproducties is ideal for you. We control the entire process from growing to distribution, and leave nothing to chance. All our employees are committed to producing crops of superior quality, and, more importantly, satisfying our customers. Does this challenge and culture match your ambitions? View the current vacancies here or send us a letter of interest. At Van Dijck Groenteproducties you are at the very source of freshness. Our complete service package extends from growing, harvesting and packing to marketing and distribution. We can offer you a huge range of domestically grown vegetables in high volumes. All our produce is cultivated with care and attention and complies with the necessary quality standards and certification. As we control the entire chain, we can guarantee high volumes of freshly harvested, uniform produce of absolute top quality for competitive prices. 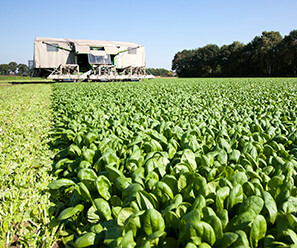 Our produce is marketed by Fossa Eugenia; a growers’ association from the 'Euregio' Venlo formed by a group of growers who share the following aim: supplying premium quality produce that meets the demands of critical consumers Via the shortest possible chain, avoiding any unnecessary links in the process. A winning formula that appeals to growers and customers alike. And with success; Fossa Eugenia is continuing to expand: in the number of growers, the production area and the assortment.